At King of the Greens, we have extensive experience in designing, installing, and maintaining landscapes for residential and commercial clients. We are a landscape contractor that can guarantee worry-free landscaping projects for clients in New Bern and other North Carolina cities. Our growing client base is our proof of just how good and dedicated we are at what we do. 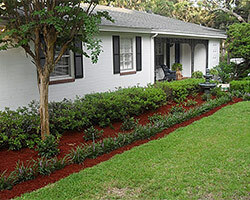 There are landscaping concerns that are very easy to perform and complete. But there are pretty challenging tasks that require the services of an experienced and skilled landscape contractor. The great news for our New Bern clients is that we have only licensed and well-rounded crews working for us. Our people are certified by industry organizations, and they are skilled and trained to handle site preparation, maintenance, installation, and design. To ensure that we can maintain our status as a reliable landscape contractor that can guarantee quality work, we perform a thorough background check to see if an applicant meets our standards. So when you see our crews reporting for work, you’re assured that they can perform their jobs efficiently. We don’t want you to settle for anything less, which is why we’ll only be sending top-caliber crews to work on your property. As an experienced landscape contractor, we know that logistics capabilities are critical to ensuring the success of any landscaping project. That’s why we ensure that we have complete landscaping tools and equipment to tackle any project, big or small. We have invested heavily in the purchase of various tools and equipment used in different stages of landscaping projects. 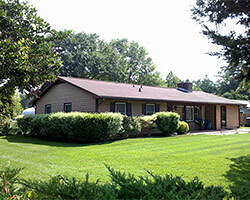 We have graders, compactors, haulers, riding mowers, pruners, excavators, backhoes, and other vital landscaping tools. These tools and heavy equipment help us perform our tasks easily and faster, since many landscaping projects require more than skills but pure power. Having at our disposal such equipment, we are able to complete our projects way ahead of schedules and with the exact results that our New Bern clients have in mind. For property owners who are having second thoughts on hiring a landscape contractor, we want to assure them that they won’t be disappointed with us. We have our Quality Assurance Program where clients are assured of outstanding results regardless of the kind or size of project we handle. With this program, they can expect the finest quality materials and the highest level of workmanship from our dedicated landscaping personnel. When you hire us, we will provide you with a written contract outlining exactly the work that we will perform for you. We welcome changes during the phase of our actual work, and we will thoroughly discuss such changes with you and then put them in writing. And then, upon completion of the project, we will present a Quality Assurance Report, detailing the work we have done. 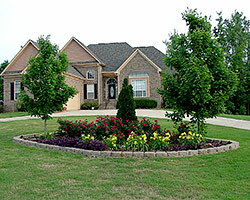 King of the Greens is your best choice if you want to have an exquisitely designed and professionally built landscape. Our expertise, experience, and quality workmanship, make us the most trusted landscape contractor in New Bern, NC and nearby cities. Call us at 252-671-2817 today.